Two police officers who moonlighted as private detectives have been convicted of bugging phones and hacking into computers on behalf of wealthy clients. How did their private detective agency work? When police began watching Active Investigation Services (AIS), they found a complex web of staff, associates and clients involved in the illegal activities. 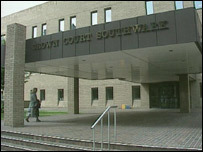 The trial at Southwark Crown Court heard that AIS - run by Jeremy Young and Scott Gelsthorpe - had a number of "lucrative sidelines" under the title "Hackers Are Us". Key to the operation was Michael Hall who made much of the hacking possible. The 36-year-old "telephone interception specialist" from Battersea was responsible for fitting devices to telegraph poles and roadside junction boxes all over the UK to listen in to more than 1,100 calls. He was paid £1,000 by AIS for each device and together with others, caused £29,000 of damage to British Telecom equipment. Hall's activities went unnoticed for some time, partly because he wore uniforms taken from genuine telecommunications companies for which he had worked. As prosecuting QC Miranda Moore said: "He looked for all the world like a BT engineer. If you saw him at the roadside you probably would not think anything of it." Hall was eventually caught after complaints began to come in to BT in 2003 from customers with inexplicably high bills. BT discovered that these corresponded to hundreds of "local landline intercepts" and the "piggybacking" of private lines to re-route calls to recording machines or to the mobile phones of eavesdroppers. Shortly after, engineers installed a tiny camera in a junction box and caught Hall at work. He was sentenced to 12 months for a string of offences. Hall worked in tandem with another man, Stuart Dowling, 31, from Sittingbourne, Kent, who actually manufactured telephone listening devices. Dowling was jailed for nine months. The remaining six men sentenced in January were AIS clients. One of them was multimillionaire Adrian Kirby, 48, from Haslemere, Surrey. Kirby ran a toxic waste disposal company, Atlantic Waste Holdings, and paid £47,000 to AIS for several months of illegal surveillance on environmental investigators and residents opposed to its activities. Kirby, who is on The Sunday Times Rich List, also tried to spy on Northamptonshire County Council officials and one of his former site managers, whom he suspected of trying to prove he was illegally dumping waste. Kirby, who sold Atlantic Waste for £65m in 2005, was a member of the prestigious Guards Polo Club and a well-known figure on the international polo circuit. Passing sentence of six months, Judge Paul Dodgson said: "Just as handlers would not exist without thieves so this agency would not have provided the services they did without a market for them." One of Kirby's employees, Adam Share, 36, of Corby Glen, Lincolnshire, was also jailed for three months and ordered to pay compensation to BT. Another businessman, Anthony Waters, 67, who ran a luxury bathroom company, paid AIS to spy on his wife during their divorce. Waters, who lives in France, was jailed for four months after paying AIS £50,000 to hack into her laptop. His son, Duncan, 39, from Horstead, Surrey, and one of his former directors, Stephen Farrington, 61, of Redhill, Surrey, were both convicted of doctoring company accounts to cover up the payment. International transport company chief Charles Kay, 59, from Henley-on-Thames, paid the agency to hack into a rival company's computer system and retrieve more than 100 emails. He was sentenced to four months in prison after earlier pleading guilty to two charges. Kay, head of Slough-based Kay O'Neill Ltd, then targeted his wife's private life after she began divorce proceedings. Ms Moore said: "She became aware that Mr Kay was apt to use underhand techniques to gain an advantage in his business dealings. "And then, when her marriage to Mr Kay began to falter in 2004, she became aware of odd things happening, including an indication to her that her phone line was being tampered with and that she was being followed." 23 July 2008. Note: Since this article was published Adrian Kirby has pointed out that neither he nor Atlantic Waste have ever been charged with or prosecuted for illegal dumping.